Home / HEC / Online Attestation / Online Degree Verification / Online Verification / Top Universities of Pakistan / How to Attest and Verify your Degree from HEC Online? How to Attest and Verify your Degree from HEC Online? Higher Education Commission (HEC) is an organization for overseeing, regulating and accrediting the higher education institutions in Pakistan. 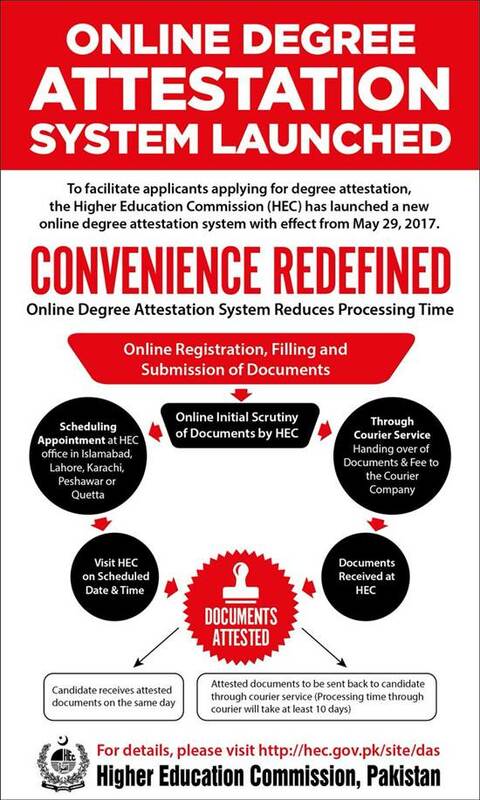 HEC has launched an online system for attestation of degrees from HEC. We will tell you how you can verify and attest your degree online from HEC. HEC has created an online portal where the applicants will register and create their accounts. This system is developed to facilitate degree holders to get attestation of their documents. 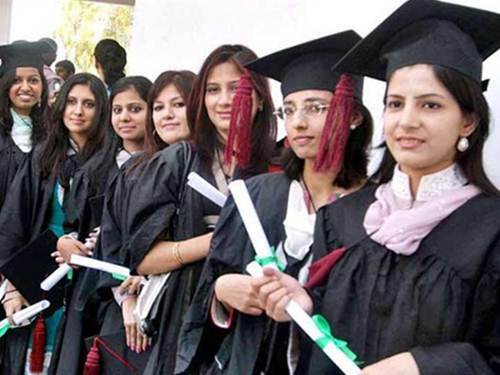 This degree attestation system is linked with Pakistan Qualification Register (PQR). How to Attest and Verify Your Degree Online From HEC? Go to the http://eportal.hec.gov.pk and create your account. You will be required to complete your profile under "My Profile" tab; where you have to fill your bio data, contact, education etc details. After creating your account and completing your profile, you can start your attestation application under "Degree Attestation" tab. Upload your scanned documents. Then the application will be initially processed by HEC online. And if your application found complete, it will be approved. Then the applicant will receive an email or SMS to schedule his visit at any of HEC offices in Islamabad, Karachi, Lahore, Peshawar or Quetta. On scheduled date and time, you should bring all your original documents along with a set of photocopies of these documents. Your degrees will be attested in a very short time. You can also track status of your degree attestation application here under the same "Degree Attestation" tab. TCS has partnered with Higher Education Commission Islamabad (HEC) to provide a convenient document attestation service to students all over Pakistan. Now you can get your important degrees or documents attested without ever having to visit HEC. For Attestation through courier service, please select the option of courier service in the online form. Print out the form and visit the designated courier office. The attestation fee for each original document is Rs. 800 and for each Photocopy is Rs. 500. Applicants who intend to apply for attestation through Courier Service (TCS), must deposit attestation fee in the concerned Courier Centre. Fee deposited in bank or online will not be acceptable in case of courier case. Courier company may also charge a nominal fee as courier charges. HEC has officially designated the Gerry's FedEx International, Islamabad, Pakistan to facilitate the international attestation seekers for getting attestation of educational documents. In this regard, the applicant will send the application form, required documents and attestation fee along with courier charges to respective centre of Courier Service for the purpose of attestation. The courier company would be responsible for returning the submitted documents back to the applicants at their specified/given addresses. The international applicants may observe the following important points before sending documents and fees (HEC attestation fee and Courier Service Charges) to Gerry's FedEx International, Islamabad-Pakistan. Another bank draft amounting to HEC attestation fee, automatically calculated by system on Attestation Form as per the attestation requirement of applicant. A clearly visible copy of valid CNIC/ Passport in case of foreign national is mandatory.The applicant must submit that transcript and degree only which he/she wants to attest. In case of professional degree/diploma, Registration and/or recognition from relevant professional body. In case the documents are being presented by a person other than the degree holder, an authority letter for the authorized person along with a copy of CNIC of the authorized person duly attested by Grade-17 and above officer is required. A set of photocopies of CNIC/Passport and documents that are required to be attested, for HEC record. For attestation of "Equivalence letter" issued by the HEC, please attach the original Equivalence letter along with all necessary original documents as stated below. The HEC attests the photocopies of degrees and transcripts only after attestation of the original documents.